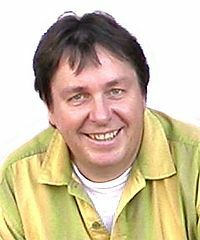 Uwe Wolfrum got his training in Biology at the University of Bayreuth and of Regensburg. He received his PhD from the University of Regensburg and did Postdocs the Mayo Clinic Foundation, Rochester, MN. In 1998 he got his habilitation at the University of Karlsruhe. Since 1999 he is Full Professor for Zoology and Cell Biology at Johannes Gutenberg University of Mainz. His research interest is in photoreceptor and retina cell biology providing novel insights into the molecular intracellular transport. With respect to disease, his group investigates molecular basis of the human Usher syndrome (Usher protein interactome) and searches for gene-based therapeutics targeting neurodegeneration in the retina. Homozygous disruption of PDZD7 by reciprocal translocation in a consanguineous family: a new member of the Usher syndrome protein interactome causing congenital hearing impairment. The translocation of signaling molecules in dark adapting mammalian rod photoreceptor cells is dependent on the cytoskeleton. A novel Usher protein network at the periciliary reloading point between molecular transport machineries in vertebrate photoreceptor cells. Centrin function in vertebrate photoreceptor cells. Light-dependent CKII-mediated phosphorylation regulates complex formation with visual G-protein. Molecular basis of human Usher syndrome: deciphering the meshes of the Usher protein network provides insights into the pathomechanisms of the Usher disease. Scaffold protein harmonin (USH1C) provides molecular links between Usher syndrome type 1 and type 2. Differential distribution of harmonin isoforms and their possible role in Usher 1 protein complexes in mammalian photoreceptor cells. Rhodopsin´s carboxy-terminal cytoplasmic tail acts as a membrane receptor for cytoplasmic dynein by binding the dynein light chain Tctex-1.